The Morphing feature matches similar shapes in two drawings. These are the source and destination drawings. 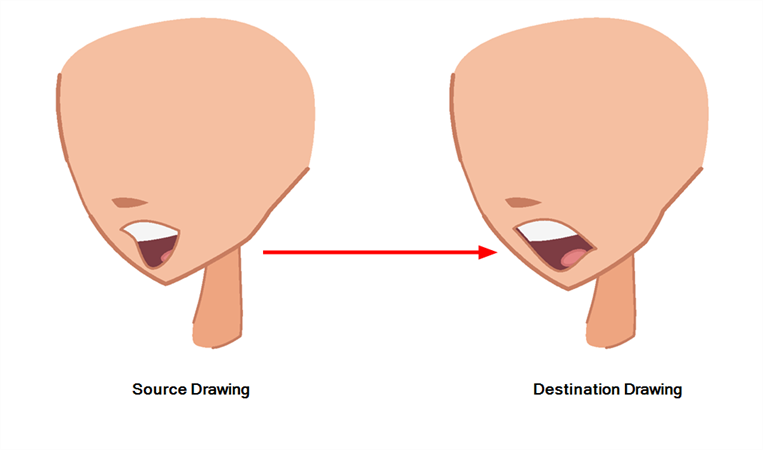 Harmony evaluates the source's shape properties and matches them to the most similar one in the destination drawing.